For the more than a decade, we have worked closely with the Peace Corps. 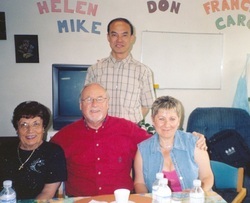 During that time we have had 5 volunteers (Daniel, Karen, Eileen, Barbara and Emily) who have assisted us with a range of topics including the sustainability of our organization, capacity building, fundraising, creating resource rooms, teaching various classes and helping us become more widely known in our community. 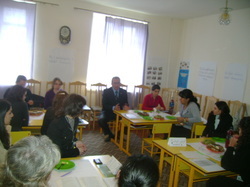 The American Embassy has helped us work with nineteen communities in Armenia where founded volunteer clubs. At these clubs, we taught the importance of being an active citizen. Our club members have since taken part in community budgeting and public discussions. Counterpart International (funded by USAID) assisted us with our Youth Voice Project. This projects intention was to encourage community involvement among the youth. They continue to support us through various funding opportunities. 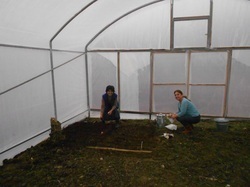 In January 2013, the United Nations Development Program constructed a greenhouse for us. This has been instrumental in feeding our many hungry kindergardeners, providing a source of revenue for us as well as creating a new workplace for unemployed women. We owe much of our success to the Canadian ES Organization. In 2001, a volunteer from Canadian ES Organization came to help Lusatsir NGO with strategic planning and performed a needs assessment for the women of Noyemberyan. 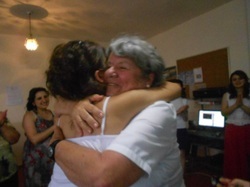 After this assessment, they suggested founding a YWCA in Armenia to meet the needs of local women. They continue to help us with our administration and we thank them for giving us our first success story.